Home food promos krispy kreme Press Release SM Supermalls and Krispy Kreme Doughnuts & Coffee are teaming up for the biggest free doughnut treat! SM Supermalls and Krispy Kreme Doughnuts & Coffee are teaming up for the biggest free doughnut treat! Upon signing up in the SM Supermalls mobile app, you will receive a digital scratch card on the app. Scratch off the gray area to find out if you won. Get another shot of winning the next day until the end of the promo period. 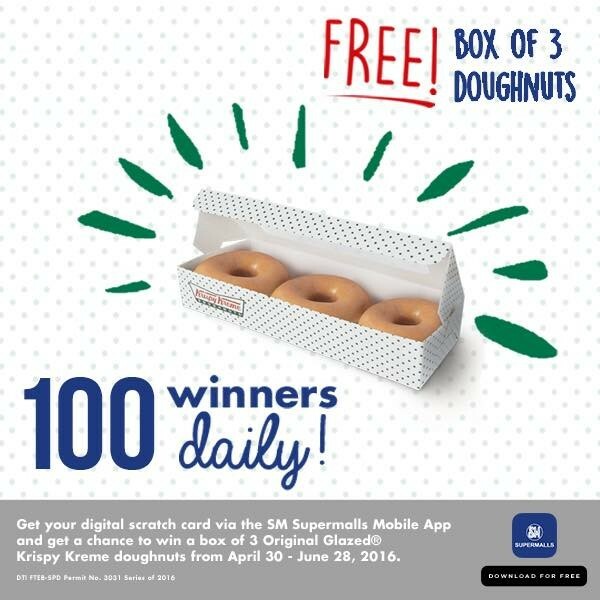 With some good luck and the daily habit of checking the app, you’ll be closer to sinking your teeth into those crave-able doughnut treats for free.